Personalized customer journeys that drive sales. From acquisition to loyalty, Antics Digital Marketing System (DMS) lets you create the perfect personalized experience for each customer throughout their entire journey. Antics DMS tracks customer actions and responses across digital channels, then automatically segments customers in real time based on that data. It offers insights into customer behavior at every step of the way. Then it turns that insight into action. It responds instantly to personalize the customer experience, delivering the right content to the right user at the right time across your web pages, emails or text messages, social media sites and mobile apps. Its robust features can take your marketing well beyond emails and landing pages. What can you do with Antics DMS? Start a dialog and get to know your customers. Start with an email or AdWords campaign, then add personalized landing pages with dynamic content. Turn on lead scoring and add a drip sequence. Notify your sales team or update the customer record in your CRM. Field a survey. Create a Tell-a-Friend campaign. Next, enable rewards and let customers track their points. Learn more with progressive profiling. Create a though-leadership program and track customer engagement with your posts. Tie in your Facebook campaigns. Send customers offers. Target ads or retarget content based on their interests. Every customer action and response is tracked in a single, centralized database. All your campaigns can leverge this real-time data to build and stengthen your customer relationships. Add the power of intelligent, data-driven marketing to your mobile apps. Instead of static mobile content, Antics DMS brings automatic real-time customer segmentation, personalization, dynamic content, multivariate testing, loyalty and rewards, and more to your mobile apps. Instead of waiting for developers to release a new version of your apps, you can update app content instantly anytime you want – even automatically – and target different content updates at different audience segments. Because Antics DMS works across channels, an action users take on your website or in an email can instantly personalize their experience in your mobile app — and vice versa. Core functionality such as username and password accounts, password resets, profile updates are centralized and work across channels, so not only is it faster and easier to develop your apps, the customer experience is seamless, too. Take retention and loyalty to a new level. Antics DMS's robust loyalty features make it easy to weave loyalty through every customer touch point or experience. You can quickly customize your programs to deliver real-time rewards for a wider variety of customer engagement activities. Antics DMS uses data from multiple sources combined with business rules you define to instantly reward customers for engaging with your brand. With cross-channel synchronization, customers track their rewards in a personalized loyalty site or mobile app and stay updated through personalized messages on your web site, email, text messages or in your mobile apps. Magnify the power of your corporate giving. Get your customers or employees involved in your corporate giving. Antics DMS can automate your cause marketing or social responsibility program while building brand affinity and loyalty — especially in regulated industries like Pharma where traditional loyalty programs are challenging to develop. Corporate giving with all the benefits of a loyalty program. Like a traditional loyalty program, people can earn points for engaging with your brand — by making a purchase, playing a game or taking a quiz, downloading an app, referring a friend, and more. The more people engage, the more points they earn. But unlike a traditional loyalty program, the points benefit charities. They can be used as votes to promote charities or causes that your customers or employees care about, or as "coins" that they can donate directly to your chosen charities or causes. Boost your partner program's ROI. Antics DMS can help you grow your channel marketing program and maximize its value by attracting and supporting partners. You get a secure, fully-customizable, cross-channel portal to help automate partner applications and renewals, communications, co-marketing support, promotions and delivery of reports to your channel partners. Help your partners drive more sales. Antics DMS is a single system that hosts your public and private web sites, manages content in your mobile app, segments partners automatically, sends scheduled or triggered email and text messages, provides access to customized interactive tools, and delivers relevant materials to each partner across digital channels. Antics DMS is one of the most powerful marketing automation platforms for healthcare and pharmaceutical marketers. With Antics DMS, you can create automated digital marketing programs for healthcare professionals that establish your brand as a category leader and support the efforts of your sales team. 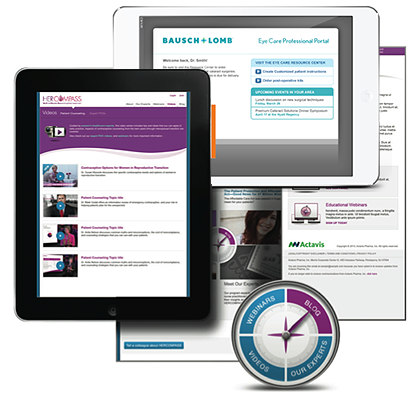 With surveys, automated email and embedded customized apps, your program can deliver educational content, printed materials, video and interactive tools that keep your brand top of mind between rep visits. 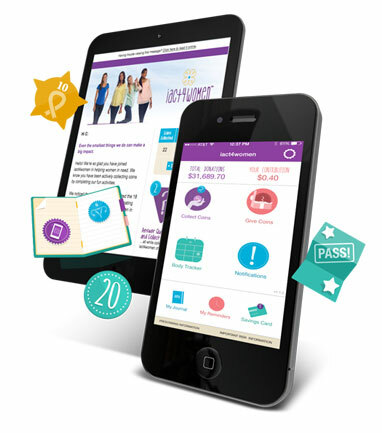 Healthcare brands are using Antics DMS to create unique consumer experiences that educate, build affinity, create awareness and strengthen adherence. You can extend your reach across digital channels and gain insights into consumer behavior while maintaining compliance with regulations and medical-legal guidelines. When marketers have a great idea for engaging customers and enhancing the customer journey, the solution usually requires you to cobble together six, seven or more separate systems, or embark on an expensive, time-consuming and risky software project, requiring IT involvement, teams of engineers, and months of costly development. Using separate siloed systems is not only costly, it also limits what you can do and how quickly you can respond to customers — and that means missed opportunities. With Antics DMS you get one, fully-integrated, easy-to-use marketing cloud solution, right out of the box. It makes it fast and easy to create loyalty programs, lead generation and nurturing campaigns, content marketing campaigns, thought leadership programs, social giving programs, email campaigns, customer and partner portals, and more, without IT help or writing a single line of software. Powerful features in a single, fully-integrated solution. Antics DMS's robust features can make your marketing initiatives more meaningful, relevant and engaging for your customers — and more effective for you. Antics DMS makes it easy to create secure, template-driven microsites, landing pages and sophisticated password-protected portals with automatic account validation and password reset features, gated content, event registration, and more. Integrated content management features allow you to test pages in a secure staging site before publishing them live or reverting to a prior version. Send emails and text messages to entire audience segments at once, or trigger individual messages to a single user in real time when they take certain actions or meet conditions that you define. Create drip campaigns with automatic follow-up messages, or automatically send them a happy birthday message. Users can even set their own schedules for things like reminders. Easily add forms and surveys, with powerful features such as progressive profiling, dynamically branching surveys and Intelligent Interview™, where questions are automatically customized for each user based on their prior responses or actions. Antics DMS can track every customer touch point, including clicks, page views, form submits, downloads, email opens, even interactions that occur outside the system such as purchases. Segment users in real time based on any combination of demographics, responses or behaviors. When users enter or exit each audience segment, you can trigger actions such as sending an email, customizing the content of a web page, or updaing your CRM. Imagine if the content of your web pages, emails, texts or mobile apps changed automatically in real time to be more personalized and relevant for each user. That's dynamic content, and Antics DMS makes it easy to add it to your campaigns, programs and apps. You can test any content for effectiveness – from single words to entire pages, images, and even styles like colors – in your emails, microsites, ads or mobile apps. Antics DMS automatically tracks which version performs best, and can automatically select the most effective version after a trial period. Identify your most valuable users, with multiple concurrent point systems, and real-time triggered notifications or data exports to your CRM when users act or respond based on rules that you define. Add robust loyalty/rewards features to your campaigns or programs. You can award points based on any user actions within the system (e.g. emails, microsites, mobile apps, blogs) or outside the system (e.g. purchases). You can allow users to redeem or donate points. Antics DMS includes controls such as program-wide or personal caps and rolling point-expiration periods. Antics DMS's integrated refer-a-friend capaibilities make it easy to create programs where current users are incentived to refer their friends. It includes a customizable portal where referrers can return to refer others, and track their rewards or the status of people they refer. Antics DMS plays well with others. It's integrated with Facebook, Salesforce, PSKW, IMS-One and several other platforms, and you can set up an integration to send or receive data in just minutes without IT help. With its built-in OAuth 2.0 client and server capabilities, setting up single sign-on is also a snap. Every campaign or project includes a customizable dashboard that allows you to track the effectiveness of your marketing efforts. You can create reports to automatically run on a schedule and have Antics DMS email them to your stakeholders. That's a long list of powerful features, and we haven't even come close to describing them all! Split audiences, solution finders, anonymous user tracking, a targeted ad server, integrated localization, dynamic page flows — the list goes on. Schedule a demo today and we'll show you the entire system. Many marketing solutions use complex linear flow charts to describe how campaigns are supposed to work: send an email, wait a few days, send another email, and so on. This funnel approach works by pushing a bunch of people in one end, and hoping that a few will follow your flow chart and dribble out the other. But Antics DMS takes a different approach — a non-linear approach. Instead of hoping customers will adapt to your funnel, your funnel adapts to them. Antics DMS is so powerful and has so many features, we can't possibly cover it all here. Get in touch and we'll show you how Antics DMS can empower your marketing team and transform your digital marketing. *Yes, you may contact me with product information. We have updated our Privacy Statement and Web Site Terms and Conditions. Our Privacy Statement, effective December 15, 2014, is located at https://antics.com/privacy-services.page. Our Web Site Terms and Conditions, effective December 15, 2014, is located at https://antics.com/terms.page. By using our web sites, you agree to our Web Site Terms and Conditions. Welcome to the web sites operated by Antics Online, Inc. (“Antics”). Antics provides marketing, technology and software services to its Clients and Business Partners, including hosting or operating web sites on their behalf. All uses of Antics or Antics DMS-branded web sites and digital marketing materials are governed by our Web Site Terms and Conditions. Our Privacy Statement explains how we collect, protect and use data collected from visitors. When you interact with other web sites or digital marketing materials hosted or operated by Antics on behalf of our Clients and Business Partners using our Antics DMS software platform, these sites are governed by the policies and terms of our Clients and Business Partners. Please refer to their privacy policies and terms published on each web site. In all cases, at minimum, our privacy practices are described in the Antics DMS Privacy Notice. This Privacy Notice is effective as of December 15, 2014. Antics Online Inc. (“Antics”, “we”, “us”) has developed a marketing automation platform to provide marketing database, automated electronic communications, relationship and loyalty marketing services (“Antics DMS Service”). As part of the Antics DMS Service, Antics develops subsites and/or separate websites, digital media pages, social media, mobile apps, and electronic communications (“Subsites”) for, and on behalf of companies (“Business Partners”), under services agreements. Information about individuals using these Subsites (“Visitor” or “you”) is collected from or through each Subsite, analyzed and processed by or through the Antics DMS Service on behalf of the Business Partner, and then shared with the Business Partner. Antics respects your preferences concerning the treatment of the data that is collected about you (“Visitor Information”). This Privacy Notice lets you know how we collect and use your Visitor Information, and how you can control its use by Antics on behalf of its Business Partners. By visiting a Subsite, you consent to the collection and processing of your Visitor Information as set forth in this Privacy Notice. You will have the right to access, and obtain correction or deletion of, Visitor Information about you. For ease of use of this Privacy Notice, the following terms have been associated with the specific meaning provided below. “Administrative User” means any individual who is legally authorized to have access to the Visitor Information, and who has access to Visitor Information for administrative purposes such as to provide maintenance or support. An Administrative User may be an employee of a Business Partner or Antics. “Business Partner” means the company for whom Antics develops a Subsite that is used to manage or operate a Program under a Services Agreement. “Device” means a computer, laptop, desktop, smart phone, tablet, and any other similar static or mobile equipment that is used for online activities. “Identifying Information” means all information that identifies an individual or that, when combined with other information available to the data holder, may allow identifying an individual with reasonable certainty. “Log Information” means all of the data that are generated through your use of a Subsite, such as data that is automatically provided by your browser (such as type of Device, operating system, unique Device identifier, IP address, MAC address, browser type and version, screen resolution, referring website, mobile network information, IP address), and information that is collected through cookies, tags, and other tracking technologies. “Program” means any survey, contest, application/registration process, marketing campaign, or any other promotional activity that Antics develops for and on behalf of a Business Partner. “Services” means the Services provided to a Business Partner under a System Services Agreement. “Services Agreement” means the agreement entered between Antics and a Business Partner for the provision of Services. “Subsite” means any separate website, digital media pages, social media, mobile app, or electronic communications mechanism that Antics develops and manages on behalf of Business Partners pursuant to Services Agreements. “Visitor” means any individual who has agreed to participate in a Program organized by a Business Partner and managed through a Subsite. “Visitor Information” means Identifying Information and Log Information pertaining to a Visitor. This Privacy Notice covers the collection and use of Visitor Information obtained from or through any Subsite. It describes how Antics uses, discloses, and protects such Visitor Information. When our Business Partners’ Administrative Users access Visitor Information on the Subsite, their use of the Visitor Information is subject to the Business Partner’s privacy policies. Information collected may include Identifying Information, such as the Visitor’s first name, last name, email address, and any other Visitor Information that a Visitor provides at part of his/her participation in a Program. The Visitor Information remains the property of, and in control of, the applicable Business Partner. The Antics DMS Service processes Visitor Information on behalf of the Business Partners to establish audiences who receive communications about a Business Partner’s Program and create reports that are available through the Antics DMS Service for use by the Business Partner’s Administrative Users. Antics may use the Visitor Information to send information about our Business Partners’ Programs. Antics, its Administrative Users and the Business Partner’s Administrative Users have access to Visitor Information to resolve a problem or support issue, or to investigate a suspected violation of the Service Agreement, or as may be required by law. Antics will not review, share, distribute, print, or reference any Visitor Information except as provided below or as may be required by law. If a Visitor decides to participate in a Program of a Business Partner, the Visitor Information that is collected from the relevant Subsite will be available to both Antics and the Business Partner. We will use the Visitor Information in accordance with this Privacy Notice. Our Business Partner will use it in accordance with its own privacy policies, which is posted on the applicable Subsite. Please note that we do not control the privacy practices of our Business Partners. We may engage third parties to perform certain functions and provide services to us, such as, hosting and maintenance, business analytics, retargeting services or similar marketing services. We may share Visitor Information with these third parties, but only to the extent necessary for them to perform these functions and provide such services, and only pursuant to binding contractual obligations requiring such third parties to maintain the privacy and security of your Visitor Information in accordance with the principles described in this Privacy Notice. We may share Visitor Information to protect our company or our Business Partners, to establish or exercise our legal rights, when we believe it is appropriate to protect the property and rights of Antics or a third party, a Visitor or others, to investigate, prevent, take action against or stop any fraudulent, illegal, unethical or legally actionable activity in connection with our Services. Antics reserves the right to release Visitor Information to law enforcement officials, government or private parties as, in its sole discretion, it believes necessary or appropriate to respond to, and defend against, legal claims, respond to legal process (facially valid subpoena, warrant, court order or other legal process) or otherwise as required by law. Data aggregation is a process in which data are gathered and expressed in a summary form for purposes such as statistical analysis, in order to obtain information about a particular group based on specific variables. Aggregated data is used for industry analysis, demographic profiling, and other purposes. Antics may prepare for a Business Partner, reports, market analysis, and trend analysis that are based on compilation of Visitor Information that Antics or a Business Partner has collected. These reports do not contain specific Visitor Information, but only aggregate information regarding a group of Visitors. While we have provided our Business Partners with all the tools necessary so that they can manage their interaction with their Visitors, you may contact us with your questions. Please refer to the How to contact us section below. You have the right to access, delete, and object to new uses of your Visitor Information. To take any of these actions, follow the instructions posted in the Business Partner’s privacy statement on the applicable Subsite. There are different types of cookies. We may use “Sessions cookies,” which are deleted when you log off from the Subsite, and enable us to better understand how you use or interact with the Subsite. We may use “Permanent cookies,” which remain in your browser so that they can remember your actions through the Subsite and your preferences. We may use "Third-party cookies" from other domain sources that are displaying items on the page visited through the Subsite. We are not responsible for the use of the cookies and other technologies by such third parties. Tags (also known as clear gifs, pixel tags or Web beacons) are tiny graphics with a unique identifier, similar in function to cookies, which are placed in the code of a webpage. We use tags to monitor the traffic patterns of Visitors from one page within the Subsite to another, to deliver or communicate with cookies, and to improve the Subsite performance, or to track visits to other sites owned or controlled by the Business Partner. If you have any other questions about cookies and other technologies, please visit http://www.allaboutcookies.org/ or http://networkadvertising.org/ or contact us as indicated in the “How to contact us” section. California law requires that website operators disclose how they respond to a “Do Not Track” signal. However, because there is not yet a common understanding of how to interpret Do Not Track signals, we do not currently respond to Do Not Track signals, if any, that we might receive from browsers. We will continue to work with the online industry to define a common understanding of how to treat Do Not Track signals. To learn more about online behavioral advertising, and/or to opt-out of this type of advertising, please visit the Network Advertising Initiative website or the Digital Advertising Alliance website. You can also contact us as indicated in the How to contact us section. Antics is not responsible for the use of the cookies and other technologies by such third parties. The collection, use, and disclosure of the Visitor Information are subject to the privacy statements and terms and conditions of such third party websites. Visitor information may be transferred, stored, maintained, and processed in the United States or in other countries where we have facilities or where we have engaged a service provider. This storage, maintenance or processing will be performed under privacy and security laws and standards that may not be as protective as those in your jurisdiction. By using our Site and/or subscription services or by providing information to us, you consent to such storage, maintenance and processing outside your country of residence. Antics complies with the US-EU and US-Switzerland Safe Harbor Framework as set forth by the US Department of Commerce regarding the collection, use and retention of Visitor Information from European Economic Area member countries and Switzerland. Antics has certified that it adheres to the seven Safe Harbor Privacy Principles of notice, choice, onward transfer, security, data integrity, access and enforcement. To learn more about the Safe Harbor program, and to view Antics’ certification, please visit https://safeharbor.export.gov/list.aspx. Antics employs administrative, physical, and electronic measures (firewalls, intrusion detection, vulnerability scan, and other industry-standard technology to help prevent interference or access from outside intruders) designed to protect Visitor Information from unauthorized access, loss, misuse, disclosure, alteration, and destruction. The servers on which the information is stored are in a supervised environment with controlled access. However, since the Internet is opened to threats, viruses, intrusions and hacking from others or attacks while data are in transit, over which we may have no control, Antics cannot guarantee the absolute security of your information at all times. If Antics becomes aware of a security breach resulting from an unauthorized access and/or disclosure of your information, we will notify our Business Partner that a security breach has occurred in accordance with applicable law. If so requested by our Business Partner, we may notify you directly or through any Subsite, in accordance with all applicable law. We exercise reasonable efforts to safeguard the security and confidentiality of your Visitor Information. Antics will not be liable for unauthorized disclosure of Visitor Information that occurs through no fault of Antics including, but not limited to, errors in transmission, uses of Visitor Information by a third party, your failure to comply with your security obligations, and the unauthorized acts of Antics’ or Business Partners’ employees. This Privacy Notice addresses only the use and disclosure of information that we collect from Visitors through each Subsite as part of the services that we provide to the applicable Business Partners. This Subsite may contain links to other websites. The fact that the Subsite links to another website is not an endorsement, authorization or representation of our affiliation with that third party. We do not exercise control over third party websites. These other websites may place their own cookies or other files on your computer, collect data, or solicit Visitor Information from you. They follow their own rules regarding the use or disclosure of the Visitor Information you submit to them. We recommend that you to read the privacy policies or statements of these other websites. The Subsite is not directed to persons under 18. If a parent or guardian becomes aware that his or her child has provided us with Visitor Information without their consent, he or she should contact us as indicated in the How to contact us section. If we become aware that a child under 13 has provided us with Visitor Information, we will remove such information from our files as soon as reasonably possible. If you have any concerns or claims with respect to our Privacy Notice, please contact us as indicated in the “How to contact us” section. We will investigate and attempt to resolve any complaints and disputes regarding our use and disclosure of Visitor Information. If the complaint or dispute cannot be resolved through our internal process, or Antics does not adequately respond to your question, please contact the San Francisco office of JAMS, which will serve as a liaison with Antics to resolve your concerns. If dispute resolution proceedings are necessary, they will be conducted by telephone and email, and if they must be done in person, they will be conducted in San Francisco, California, by one member of JAMS, and under the applicable rules set by JAMS for this type of dispute resolution. Both parties will bear equally the cost of dispute resolution proceedings (exclusive of their own legal fees and expenses). All decisions of the mediator will be final and binding on both parties and enforceable in any court of competent jurisdiction. Antics may update this Privacy Notice from time to time in order to reflect changes in our practices. We will notify you of any material changes by posting the new Privacy Notice on the Website, and will obtain the necessary consents as may be required under applicable law. You are advised to consult this Privacy Notice regularly for any changes. If you have any questions, comments, concerns, complaints or claims with respect to the Site, other users of the Site, if your account has been compromised by a hacker or scammer, if another user is abusing, harassing, or stalking you, or if you have any other concern, please contact us as indicated below. We will investigate and attempt to resolve the matter. Welcome to websites (“Site”) operated by Antics Online, Inc. (“Antics,” “we” or “us”). Through the Site, you have access to a variety or resources and content, such as webpages, data, messages, documents, text, images, graphics, photographs, designs, visual interfaces, artwork, logos, videos, audio, sounds, webcasts, trademarks, services marks, trade dress, compilations, white papers, press releases, computer code, blogs, products, features, services, other material contained or presented on the Site, and any combination thereof (“Content”). Some areas of the Site may have additional rules, guidelines, license agreements or other terms and conditions that apply to access or use these areas of the Site. If there is a conflict or inconsistency between these Terms and the other rules, guidelines, license agreements or other terms and conditions for a specific area of the Site, the latter will take precedence with respect to your access to, and use of, that area of the Site. Please check this page frequently to stay aware of any changes. Antics may revise these Terms from time to time. Notification of changes will be posted prominently on the Site. All changes will apply to your use of the Site after the effective date of the updated Terms. If you continue using our Site after the effective date of our updated Terms, this will mean that you have agreed that your use of the Site is subject to the new Terms. If any proposed change is unacceptable to you, you will have the right to terminate your account with us or your use of the Site. The Site may provide links to websites that are operated by parties other than Antics. When you click on one of these links, you are leaving our Site, and entering another website. Your use of any such third party website is at your own risk. We do not control such third party websites and are not responsible for their contents or their practices or for any loss or damage that you may incur from dealing with any third party found through these third party websites. The existence of these links does not indicate our approval or endorsement of any material contained on any such third party websites or any association with their operators. 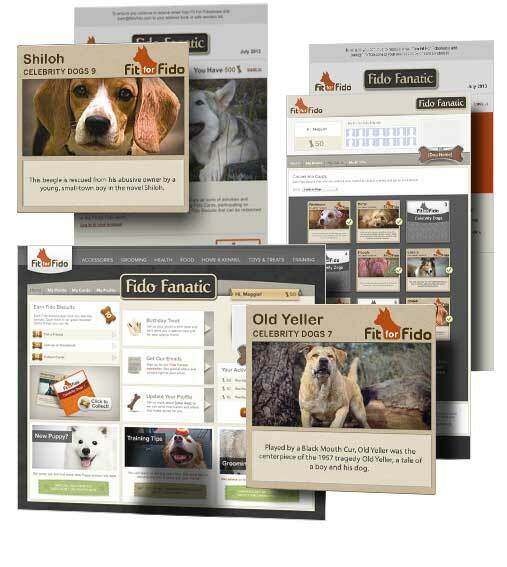 The Site is owned and operated by Antics. Antics, its affiliates, business partners, and/or licensors own all right, title and interest, including all copyright, trademark, trade secrets, patent, and other intellectual property rights in such Content. All Content is protected by U.S. and foreign copyright, trademarks, trade secrets, patents, and other intellectual property laws and other applicable laws worldwide. This Content is intended for the use of individuals and businesses that are searching for technology solutions and services for their business. Any reproduction, distribution, or other use of Content from this Site for any commercial or non-personal purposes is prohibited. The mark ANTICS and all other trademarks that appear, are displayed, or used on the Site are registered or common law trademarks or service marks of Antics, its business partners or licensors, or of other entities, such as Antics customers or service providers. These trademarks may not be copied, downloaded, reproduced, used, modified, or distributed in any way without prior written permission from Antics, the relevant business partner, licensor, service provider, or customer, except as an integral part of an authorized copy of the relevant Antics Content. d.	All information supplied by you on this Site, if any, is true, accurate, current, and complete. We retain the right, at our sole discretion, to deny anyone access to this Site and the Content, products or services that we offer, at any time and for any reason, including, but not limited to, for violation of these Terms. Antics grants you a limited, revocable, license to view, use, copy, print or download any Content for personal, non-commercial use only, in connection with your permitted use of the Site and for the sole purpose of performing the functions intended to be performed when using the Site features. You may use the Site and the Content only as expressly stated in these Terms. We reserve all right, title and interest (including all copyright, trademarks, trade secrets, patents, and other intellectual property rights) in the Site and Content other than the licenses that are expressly granted in these Terms. You must retain all copyright, trademark, and other proprietary notices included in the Content or on the Site. You are not permitted to modify, copy, distribute, transmit, post, display, perform, reproduce, publish, sell, license, rent, lease, loan, transfer, assign, reverse engineer, edit, adapt, create derivative works from, the Site, any Content or products or services obtained from or through this Site or to make or attempt to make any commercial use of the Site, the Content, or any Antics product or service. e.	"Frame,” "mirror" or incorporate any part of this Site into any other website without our prior written authorization. o. Interfere or attempt to interfere with the proper working of the Site or any activities conducted on the Site or use the Site in any manner that, in our sole discretion, could damage, disable, overburden, or impair the Site or interfere with any other party's use and enjoyment of the Site. q. Use any of our logos, names, trademarks, or service marks without our prior written consent, including, without limitation, as metatags or hidden text. c.	Represent and warrant that: (i) you own the content of your Submission, or have the necessary licenses, rights, consents, and permissions to send the Submission to Antics, post the Submission on the Site and allow others to use such Submission as described in these Terms; (ii) you have the written consent, release, and/or permission of each identifiable individual in any Submission to use the name or likeness of each such person, and to enable inclusion and use of such in the Submission in the manner contemplated by these Terms. You will be solely responsible for your own Submissions and the consequences of posting such Submissions. c.	Infringes, misappropriates or violates any copyright, trademark, patent right or other proprietary right of any third party. j. Contains software viruses or code intended to harm, damage, or interfere with any software, hardware, equipment, system, data, or other information. You will be solely liable for any damages resulting from any violation of the foregoing restrictions, or any other harm resulting from your posting any Submission to this Site or sending a Submission to Antics. THE SITE AND THE CONTENT, PRODUCTS, AND SERVICES PUBLISHED ON THIS SITE MAY INCLUDE INACCURACIES OR ERRORS, INCLUDING PRICING ERRORS. ANTICS AND ITS AFFILIATES, BUSINESS PARTNERS AND LICENSORS (a) DO NOT GUARANTEE THE ACCURACY OF, AND DISCLAIM ALL LIABILITY FOR, ANY ERRORS OR OTHER INACCURACIES RELATING TO THE SITE OR ANY CONTENT, PRODUCTS AND SERVICES PUBLISHED ON THIS SITE; (b) ASSUME NO LIABILITY OR RESPONSIBILITY FOR ANY ERRORS OR OMISSIONS IN THE SITE OR THE CONTENT, PRODUCTS OR SERVICES, OR ANY DAMAGES FROM ANY VIRUSES THAT MAY AFFECT YOUR COMPUTER EQUIPMENT OR OTHER PROPERTY, OR ANY OTHER DAMAGES ON ACCOUNT OF YOUR ACCESS TO, USE OF, OR DOWNLOADING FROM, THE SITE OR YOUR INABILITY TO ACCESS, USE OR DOWNLOAD FROM THE SITE. The Site, Content, products and services provided or referenced on the Site, and any Submission posted by another user, are provided "as is" and without any warranties or representations of any kind, express or implied. The fact that Antics is including or displaying any Content, product or service or Submission from another user on the Site is not an endorsement or a recommendation of the Content, product or service or user Submission. Antics, its affiliates, business partners and licensors expressly disclaim any representation or warranty that (a) the Site, the Content, or any content posted or uploaded by users are or will be (i) free from errors, viruses or other harmful components, or (ii) be available to you at all times; (b) information stored on or through the Site will not be lost, hacked or accessed, modified or viewed by unauthorized third parties, (c) communications to or from the Site will be secure and not intercepted, (d) the capabilities offered from the Site will be uninterrupted, (e) the Content or any other content posted or uploaded by third parties will be accurate, complete or timely, will not contain typographical errors, will fulfill any of your particular purposes or needs, or will not infringe on any third party rights; (f) defects will be corrected; or (g) the products or services offered through the Site are or will remain available in all jurisdictions. OTHER THAN THOSE WARRANTIES THAT, UNDER THE LAWS APPLICABLE TO THESE TERMS, ARE IMPLIED BY LAWS, AND ARE INCAPABLE OF EXCLUSION, RESTRICTION OR MODIFICATION, ANTICS, ITS AFFILIATES, BUSINESS PARTNERS AND LICENSORS EXPRESSLY DISCLAIM ALL WARRANTIES AND CONDITIONS, INCLUDING IMPLIED WARRANTIES AND CONDITIONS OF MERCHANTABILITY, FITNESS FOR A PARTICULAR PURPOSE, TITLE, NON-INFRINGEMENT, AND THOSE ARISING BY STATUTE OR OTHERWISE IN LAW OR FROM A COURSE OF DEALING OR USAGE OF TRADE. Some jurisdictions may not allow the exclusion of implied warranties. Consequently, some of the above exclusions may not apply to you. Please seek the advice of professionals, as appropriate, regarding the evaluation of any specific information, opinion, advice, or other content. ANTICS, ITS AFFILIATES, BUSINESS PARTNERS OR LICENSORS INVOLVED IN CREATING, PRODUCING, OR DELIVERING THIS SITE, CONTENT, PRODUCTS AND SERVICES SHALL NOT BE LIABLE FOR ANY DIRECT, INDIRECT, INCIDENTAL, SPECIAL, CONSEQUENTIAL, OR PUNITIVE DAMAGES, OR DAMAGES FOR COST OF PROCUREMENT OF SUBSTITUTE PRODUCTS OR SERVICES, LOSS OF PROFIT, REVENUE, DATA, GOODWILL OR USE INCURRED BY YOU OR ANY THIRD PARTY, ARISING OUT OF, OR CONNECTED WITH (A) ANY USE, BROWSING OR DOWNLOADING OF ANY PART OF THE SITE OR CONTENT; (B) ANY DEFECT, OMISSION, ERROR, INTERRUPTION, OR VIRUS, IN ANY CONTENT, PRODUCTS, OR SERVICES OBTAINED THROUGH THE SITE, OR ANY SUBMISSION BY ANOTHER USER POSTED ON OR AVAILABLE THROUGH THE SITE; (C) ANY INABILITY TO USE, DELAY IN USE, OR OTHER FAILURE OF ANY COMPONENT OF THIS SITE FOR ANY PURPOSE, OR (D) THE PERFORMANCE OR NON PERFORMANCE BY ANTICS OR ANY AFFILIATE, BUSINESS PARTNER OR LICENSOR, OR (E) ANY DAMAGES OR INJURY CAUSED BY ANY FAILURE OF PERFORMANCE, ERROR, OMISSION, INTERRUPTION, DELETION, DEFECT, DELAY IN OPERATION OR TRANSMISSION, COMPUTER VIRUS, COMMUNICATION LINE FAILURE, THEFT, DESTRUCTION OR UNAUTHORIZED ACCESS TO, ALTERATION OF, OR USE OF RECORD, WHETHER BASED ON CONTRACT, TORT, NEGLIGENCE, STRICT LIABILITY THEORIES, OR OTHERWISE, EVEN IF ANTICS, ITS AFFILIATES, SUBCONTRACTORS, BUSINESS PARTNERS OR LICENSORS HAVE BEEN ADVISED OF THE POSSIBILITY OF DAMAGES. If, despite the limitation above, Antics, or any of its affiliates, business partners or licensors is found liable for any loss or damage that arises out of, or is in any way connected with, any of the occurrences described in the limitation above, then the liability of Antics, its affiliates, business partners and licensors will in no event exceed, in the aggregate, the greater of (a) the service fees, if any, that you paid to Antics in connection with the service that you received from this Site, or (b) ten dollars (US$10.00). Some jurisdictions do not allow the limitation of liability, thus the limitations above may not apply to you. The limitations of warranty, liability, and damages set forth above reflect the allocation of risk between Antics and each user or visitor of the Site. These limitations will survive and apply even if any limited remedy specified in these Terms is found to have failed of its essential purpose. The limitations of liability provided in these Terms inure to the benefit of Antics, its affiliates, business partners, and licensors. d.	Any matter, issue, dispute, claim, demand related to the Submission(s) that you post on, or upload to the Site. We make reasonable attempts to exclude viruses from the Site, but cannot ensure that the Site will, at all times, be free from viruses or other destructive software. You are urged to take appropriate safeguards before downloading anything from the Site. We assume no responsibility for any damages to computer equipment or other property that may result from use of the Site or downloading anything from the Site. Any aspect of the Site may be changed, supplemented, deleted, updated, discontinued, suspended, removed, or modified at any time, and without prior notice to you. We make no commitment to update the information or Content contained on this Site. We may also, at any time, change or impose fees for certain services, or establish or change general practices and limits concerning certain services. We may, in our sole discretion, refuse to allow access to the Site to any person or entity or change our eligibility criteria at any time. Antics shall not be liable to you for any delay or other damages that might result from such modification, suspension, or discontinuance. The Content is intended for information purposes only. Although we exercise reasonable efforts to ensure quality and accuracy, there might be errors, or the information provided may not be complete, current, or applicable to your particular situation. We assume no liability or responsibility for any errors or omissions. You are responsible for evaluating the accuracy, completeness, and usefulness of any Submission, opinion, advice, or other content available through the Site or obtained from a linked site. You should not take any action based on Submissions, or other third party information on this Site. We assume no liability or responsibility for any Submissions, including, without limitation, any errors or omissions. We welcome links from a third party site to the homepage of our Site, through a plain text link, provided that (a) you discontinue providing a link to our Site if so requested by Antics; (b) you do not imply in any fashion that Antics is endorsing any of your products or service or is affiliated with you, (c) you do not present Antics in a false light, or provide misleading or false information about Antics or the Site, (d) you do not remove or obscure the copyright or other notices on this Site; (e) you do not use any trademark of Antics; and (f) you do not replicate, frame or mirror any Content or other content of the Site. We reserve the right to require you to remove any link to the Site, in our sole discretion. Antics does not imply that the Content, products or services that its presents on the Site are available for use in jurisdictions other than those in which it is licensed to do business, or that it is soliciting business in any such jurisdictions. Antics does not represent that these Content, products or services will remain available to you or that you will qualify to acquire them. If you breach any of the provisions of these Terms, Antics, in its sole discretion, may terminate, suspend, restrict, or block your access to the Site, and any account that you may have with the Site, and delete any Submission that you may have submitted or posted on the Site. Antics shall not be liable to you for such termination, suspension, restriction, or blocking. Any suspected fraudulent, abusive, or illegal activity that may be grounds for termination of your use of the Site may also be referred to appropriate law enforcement authorities. These remedies are in addition to any other remedies that we may have at law or in equity. Any cause of action arising out of, or related to, the Site must commence within one (1) year after the cause of action accrues. Otherwise, such cause of action is permanently barred. We may, in our sole discretion, any time and without advance notice or liability, terminate, suspend, restrict or block your access to all or any component of the Site, even if access continues to be allowed to others. Upon such termination, suspension, restriction, or blocking, you must immediately discontinue use of the Site, and destroy any copy you have made of any portion of the Site. Accessing the Site after such termination, suspension, restriction, or blocking shall constitute an act of trespass. We shall not be responsible to you for such termination, suspension, restriction or blocking. You may preserve these Terms in written form by printing them for your records, and you waive any other requirement that these Terms be evidenced by a written document. A printed version of these Terms and of any notice given in electronic form shall be admissible in judicial or administrative proceedings based upon or relating to these Terms to the same extent and subject to the same conditions as other business documents and records originally generated and maintained in printed form. This Site is available for use only by individuals who are located in the United States or its territories or possessions, or who are seeking to receive services or content that is usually distributed to the residents of the United States or its territories or possessions. Use of the Site is not permitted in any jurisdiction that does not give effect to all provisions of these Terms, including without limitation this paragraph. If you elect to access the Site from locations outside of the United States, you are responsible for compliance with all local rules that may apply to you, such as rules about online conduct, acceptable content, use of email, disclosure or transfer of personal information or use of the Internet. Access to the Site, Content, Submissions, or other content posted on the Site from countries, states, or territories where this Content is illegal is prohibited. The laws of the State of California (USA), without regard to its conflict of law rules, will govern these Terms. If you take any legal action relating to your use of the Site or these Terms, you agree to file such action only in the state and federal courts located in San Mateo County (USA). In any such action or any action that we may initiate, the prevailing party will be entitled to recover all legal expenses incurred in connection with the action, including but not limited to costs, whether taxable or non-taxable, and reasonable attorneys' fees and court costs. If we fail to act with respect to your breach or anyone else's breach on any occasion, we are not waiving our right to act with respect to future or similar breaches. No joint venture, partnership, employment, or agency relationship exists between you and Antics as a result of your use of the Site. We may assign our rights and obligations under these Terms to a third party without this assignment being deemed a change in these Terms, and without notice to you. You may not assign, delegate, or transfer your rights or obligations under these Terms. There are no third-party beneficiaries to these Terms. The headings in these Terms are for your convenience and reference; they do not limit or affect these Terms. If a court or arbitrator of competent jurisdiction finds any part of these Terms to be invalid, illegal, or unenforceable, it will be requested to give effect to the intent reflected in that provision in a manner that most closely matches the intent of the original provision, and the remainder of the Terms shall continue in effect. Our performance under these Terms is subject to existing laws and legal process. Antics will comply with law enforcement requests or requirements relating to your use of the Site or information provided to, or gathered by Antics with respect to such use. If you have any questions, comments, complaints or claims with respect to the Site, other users of the Site, if you find that certain content displayed on the Site is inappropriate or prohibited by these Terms, or if you have any other concern, please contact us as indicated below. We will investigate and attempt to resolve the matter. Antics Online, Inc. ("Antics") respects your privacy and has created this privacy statement ("Statement" or “Privacy Statement”) in order to demonstrate its commitment to customer privacy. This Privacy Statement governs the websites owned and operated by Antics, antics.com, anticsdms.com ("Site") and our interaction with individuals through online tools, telephone, correspondence, electronic communications, newsletters, interviews, surveys, tradeshows, or promotions as part of the Antics operations. We have established this Statement as a means to communicate our data gathering and dissemination practices to the visitors of our Site. This Privacy Statement describes how we use, disclose and protect personal information that you share with us on or through the Site. "Personal information" is information that enables us to identify you. By using this Site, you agree to the provisions in this Privacy Statement. Your continued use of the Site, or continued interaction with us after we have notified you of a material change in our Privacy Statement in accordance with the “Changes to this Statement” section will be deemed an acceptance of these new terms. This Privacy Statement applies to the information that we collect or receive from (a) visitors of the Antics.com and anticsdms.com websites, (b) business users of the Antics Digital Marketing System, and (c) any individuals with whom we interact through telephone, correspondence, electronic communications, newsletters, interviews, surveys, tradeshows, or promotions. It does not apply to users or visitors of the websites or subsites that we develop for our customers. These websites are governed by other terms and conditions and policies with respect to the handling of personal information. Our primary goal in collecting information is to provide you with a friendly, customized, and efficient experience. Antics collects identifying information when you use or visit the Site. For example, we may require customers who register on the Site to give us the following: name, company name, address, phone number, and email address. When you initially express interest in obtaining additional information about our Services, or when you register for a demonstration of our Services, we may ask for additional types of personal information, such as title, department name, fax number, or additional company information, such as annual revenues or marketing spend. You can elect not to disclose this additional information by not providing it when asked to do so. We may collect your contact details, record your questions or requests about our products or services, information about your background or your company, and how we followed up, if you respond to an online or offline campaign, visit our booth at a trade show, you meet with our representatives at a networking event, or you participate in a survey or promotion. We assume that if you contact us, or come to visit with us and provide us with your contact information, it is with the intent that we communicate with you about our products or services. For purposes such as improving personalization of our Services, we may obtain personal information from affiliated entities, business partners, publicly available databases, and other independent third-party sources and add it to our contact database for marketing and sales purposes to combine it with other information that we have collected or obtained otherwise. This may include phone number, email address, title, or company. We may obtain credit checks from credit reporting agencies or similar information for use in making credit decisions. Antics collects certain information from visitors to the Site that is provided by the visitor’s browser, such as type of device operating system version, unique device identifier, browser type and version, mobile network information, screen resolution, IP or MAC addresses, and referring domain. We collect other information through cookies and other technologies, such as information about a user’s online activity, the web pages used, and any link or advertisement on which the user clicks. For more information, please see the Cookie section. We use the information we collect to contact potential customers to discuss their interest in our company, the services we provide, and to send information regarding our company or partners, such as promotions and events. You can opt out of being contacted by us, or receiving such information from us, at any time by clicking the "unsubscribe" link at the bottom of any email you receive and opting out. You may also contact us at privacy@antics.com to opt out of future communications from us. Antics reserves the right to send subscribers of the Antics Digital Marketing System ("System") certain communications relating to the System, such as service announcements and administrative messages, that are considered part of the subscriber’s account, without offering the opportunity to opt-out of receiving them. If you are a registered user of Antics' subscription-based System and your trial subscription expires, some information about you may remain in our records after the end of your trial or subscription. If you or your employer have purchased our Subscription Services, we may use your contact information to provide access to the relevant service, respond to your request for assistance, resolve disputes or trouble shoot problems. We may use personal information to manage your customer account. 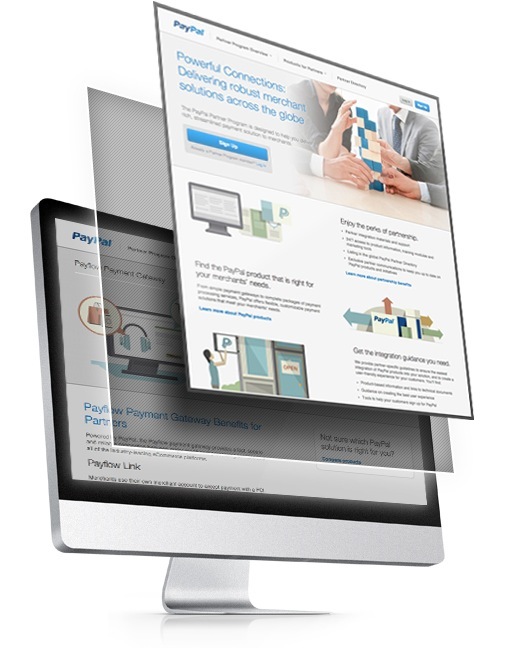 While we have access to a customer’s billing contact information, we do not have access to payment information (e.g. credit card numbers). All payment issues are handled by our service provider who only informs us whether payment has been made or not. We do not use the personal information of business users that is associated to, or that we might collect about, their use of our System for any purpose other than to provide them with the service that they requested or to improve that service. We may use your correspondence, contact information, email address, and any information that you provide in your messages, to respond to you. We may use your contact details to solicit feedback from you, including through surveys. We may use your personal information to estimate how likely you might be to become a customer, to send you marketing communications and promotional material; or to provide you with information about our white papers, our System, Services, promotions, and other products and services. If you demonstrate an interest in a particular product or service, such as by affirmatively clicking on a link about the product or service, and we have your contact information, we may follow-up and send you an email or initiate communication with you about this product or service. You have the right to prevent future interaction with you. To do so, please contact us as indicated in the “How to Contact Us” section below. We may use personal information to prevent or investigate potentially prohibited or illegal activities, or to enforce our Terms and Conditions or Subscription Agreement. We may aggregate personal information and usage data (“Aggregated Information”) in order to obtain statistical information, such as to calculate the percentage of users who have a particular zip code or telephone area code. We use Aggregated Information to understand how our site is used, for research or product development, for example, to measure interest in, or monitor the use of any content, product, services or promotions that we provide through the Site, to improve these content, products, services or promotions, and for the technical administration of the Site. Navigation information is logged to help diagnose technical problems, to analyze trends, to track users' movements around the site, and to administer our System in order to constantly improve the quality of the System and our Services. When you interact with the Site, we try to make that experience simple and meaningful. When you visit our Site, our Web server sends a cookie to your computer. Cookies are files that Web browsers place on a computer's hard drive and are used to indicate whether you have visited the Site previously, recall your choices, or help you navigate from page to page easily. You can configure your browser to accept all cookies, reject all cookies, or notify you when a cookie is set. Each browser is different, so check the "Help" menu of your browser to learn how to change your cookie preferences. If you reject all cookies, you may not be able to use Antics products or services that require you to "sign in" and you may not be able to take full advantage of all offerings. If you have any other questions about cookies and other technologies, please visit http://www.allaboutcookies.org/ or http://networkadvertising.org/ or contact us as indicated in the How to contact us section. Pixel tags, action tags, gif tags, beacons, or similar technologies (tracking technologies) are placed on pages of the Site by us or by one of our service providers or business partners. They allow the collection of information such as the date or time when a designated page was viewed or how long the Site user stayed on a specific page. This information is collected in an aggregated format. Users cannot remove or block action tags because they are coded in the programming of the Site, rather than being sent to a browser. However, they can remove any cookie that is associated with the action tag, as explained above. We may engage certain third parties to perform functions and provide services to us, such as hosting and maintenance, customer relationship, storage, database management, credit card processing, credit reporting, collection, fraud prevention, business analytics, chat, website analytics, website optimization, lead scoring, retargeting, direct marketing campaign, or similar services. We will share personal information with these third parties, but only to the extent necessary to perform these functions and provide such services, and only pursuant to binding contractual obligations requiring such third parties to maintain the privacy and security of the personal information. We may contract with publishers and third parties to serve targeted advertisements about Antics to individuals who have visited our site so that our advertisements are presented to these individuals while they are visiting a third party’s website. This is accomplished by combining cookies and action tags that are shared with these third parties. We may use or share personal information to protect ourselves or protect the Site, to establish or exercise our legal rights, respond to a breach of our Terms and Conditions or Subscription Agreement, when we believe it is appropriate to protect the property and rights of Antics, the safety of our company, our customers or others, to investigate, prevent, take action against, or stop any fraudulent, illegal, unethical, or legally actionable activity, in connection with our Site, services, Subscription Agreement or other agreements. Antics may disclose and transfer the personal information obtained from you through this Site or the System as part of a merger, acquisition or other sale of its assets or business, or in the unlikely event of a bankruptcy. We may be legally obligated to disclose information to the government or to third parties under certain circumstances, such as illegal activity on our Site. Antics reserves the right to release personal information to its service providers, law enforcement or other government officials, or in response to a formal request in a civil action, Court order, subpoena, warrant, or judicial or administrative proceeding as Antics, in its sole and absolute discretion, deems necessary or appropriate. We may provide Aggregated Information to third parties. Such information will not include personal information of any customer or visitor. Our Site has security measures in place to help protect against the loss, misuse, and alteration of the Personal Information and Customer Data under our control. Only employees who need customer information to perform a specific job (for example, a customer service representative) are granted access to it. All of our employees are kept up to date on our privacy and security practices. If you are a registered user of the Site, you may have access to, update or correct the information you provided to us by requesting such access or changes as indicated in the “How to contact us” Section. If you or your employer has purchased a subscription to our System, you may be able to access and update your information through our System. If you feel that any personal information about you that has been collected and stored by Antics may be wrong, or you would like us to remove information about you from our systems, please notify us at privacy@antics.com so that we may correct or delete the information. If, at any time after registering for information or ordering Services, you change your mind about receiving promotional information from us, send us a request specifying your new choice at privacy@antics.com. Antics reserves the right to send customers certain communications relating to the Service, such as service announcements and administrative messages that are considered part of your account, without offering you the opportunity to opt-out of receiving them. If you decide to visit the Site, your visit and any possible dispute over privacy is subject to this Statement and our Web Site Terms and Conditions [HYPERLINK], including limitations on damages, arbitration of disputes, and application of California law. This Statement does not apply to the practices of third parties that Antics does not own or control. The Site contains links to other websites. Antics is not responsible for the privacy practices or the content of these other websites. Customers and visitors will need to check the policy statement of these other websites to understand their policies. The Site is not directed to persons under 13. If a parent or guardian becomes aware that his or her child has provided us with personal information without their consent, he or she should contact us as indicated in the “Contact Us” section. If we become aware that a child under 13 has provided us with personal information, we will remove such information from our files. California law requires that operators of website and online services disclose how they respond to a “Do Not Track” signal and whether other third parties may collect personal information about an individual’s online activities from their site or service. Because there is not yet a common understanding of how to interpret Do Not Track signals, we do not currently respond to Do Not Track signal. We continue to work with the online industry to define a common understanding of how to treat Do Not Track signals. However, in the meantime, if you want prevent us from tracking your use of our Site or Service so that we can send you targeted advertisements, please contact us as indicated in the “How to Contact Us” section below. Under California Civil Code Section 1798.83, California residents have the right to request in writing that we provide (a) a list of the categories of personal information, such as name, email and mailing address, and the type of services provided to the customer, that we have disclosed to third parties (including affiliates that are separate legal entities) for the third parties’ direct marketing purpose, during the immediately preceding calendar year; and (b) the names and addresses of all such third parties. We do not currently share personal information of our customers or visitors with any third parties for the direct marketing purposes of these third parties. If our practices change, we will address the issue in accordance with California Civil Code Section 1798.83. If you have any concerns or claims with respect to our Privacy Statement, please contact us as indicated in the “How to Contact Us” section. We will investigate and attempt to resolve any complaints and disputes regarding our use and disclosure of our customers’ personal information. If the complaint or dispute cannot be resolved through our internal process, and we do not adequately respond to your question, please contact the San Francisco office of JAMS, which will serve as a liaison with us to resolve your concerns. If dispute resolution proceedings are necessary, they will be conducted by telephone and email, and if they must be done in person, they will be conducted in San Francisco, California by one member of JAMS, and under the applicable rules set by JAMS for this type of dispute resolution. Both parties will bear equally the cost of dispute resolution proceedings (exclusive of their own legal fees and expenses). All decisions of the mediator will be final and binding on both parties and enforceable in any court of competent jurisdiction. Your information may be transferred, stored, maintained, and processed in the United States or in other countries where we have facilities or where we have engaged a service provider. This storage, maintenance or processing will be performed under privacy and security laws and standards that may not be as protective as those in your jurisdiction. By using our Site and/or subscription services or by providing information to us, you consent to such storage, maintenance and processing outside your country of residence. We comply with the US – EU and US – Swiss Safe Harbor Framework as set forth by the US Department of Commerce regarding the collection, use, and retention of personal data from European Union member countries and Switzerland. We have certified that we adhere to the Safe Harbor Privacy Principles of notice, choice, onward transfer, security, data integrity, access, and enforcement. To learn more about the Safe Harbor program, and to view our certification, please visit http://www.export.gov/safeharbor/. Antics may update this Statement at any time, so please review it frequently. If we make material changes to this Statement, we will notify you by a notice posted on the home page of the Site, or as required by applicable law. You are advised to consult this Privacy Statement regularly for any changes. If you have questions or concerns regarding this Statement, or our personal information handing practices, you should first contact Antics Support at privacy@antics.com. You may also write to us at Antics Digital Marketing, 981 Industrial Road, Suite B, San Carlos, CA 94070. Your privacy is important to us, and we will make every effort to resolve your concerns.